The LabPad® INR enables the measurement of INR, Prothrombin Time (PT) and the Quick Time(QT) from a single drop of capillary blood. The LabPad® INR performances, for both repeatability and accuracy, comply with the ISO 17593 standard. 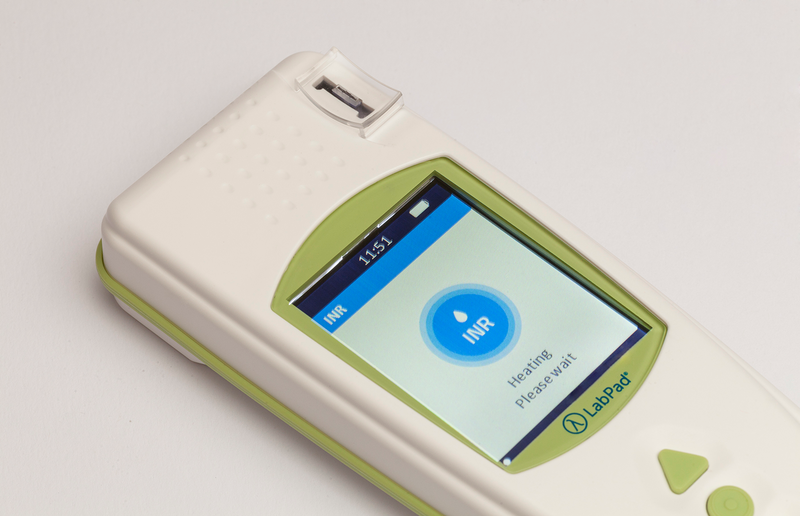 The device reliability of INR results is obtained by several quality controls that are performed automatically and internally. The LabPad® INR PT/INR monitoring system connects to an app via Bluetooth to be perfectly integrated in various patient care workflows and to optimize monitoring of your patients on warfarin treatment.